If you are looking for some awesome Lake Trout Fishing Nestor Falls Fly-In Outposts located in Northwestern Ontario has the ideal locations. 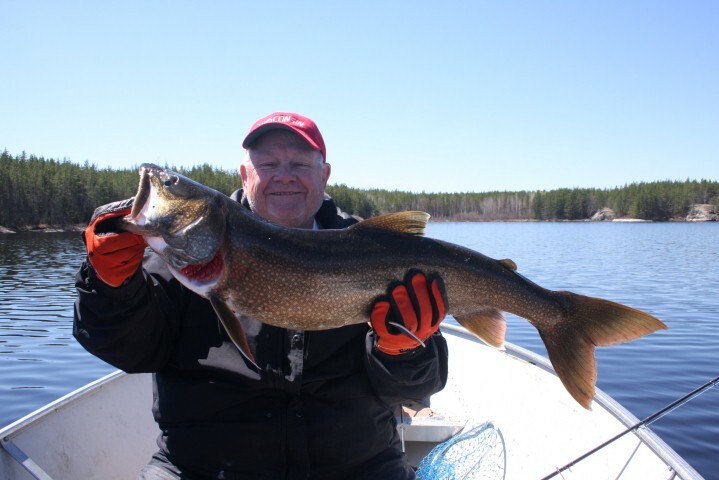 Kay Lake, a short flight from our main base here in Nestor Falls, offers you excellent Lake Trout fishing. In the spring the trout can be taken on the surface while they are feeding on the Cisco. 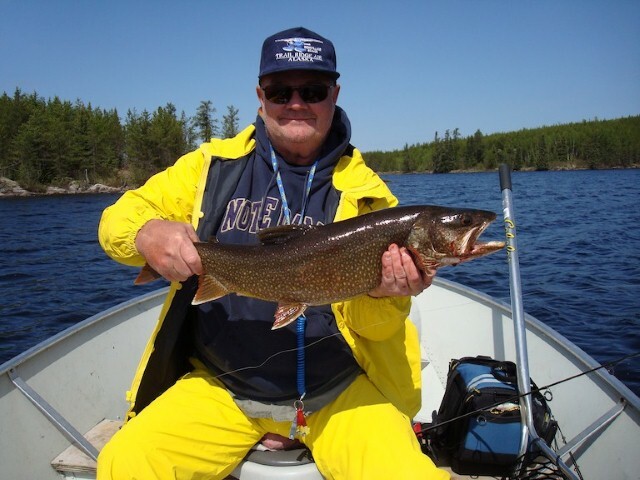 If you are looking for a more remote adventure Nestor Falls Fly-In can fly you 200 miles North into Clear or Malette lake for some more of that great Lake Trout fishing that you are looking for. These three locations all offer you your own exclusive stay at one of our deluxe outpost cabins, which are extremely well maintained and comfortable. It’s like renting your own private fishing lake. 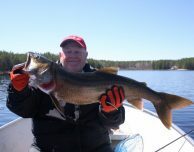 When you’re ready to do battle with these monster Lakers, trolling, casting large spoons and crank baits or jigging 2 oz. buck tail jigs is generally most effective. 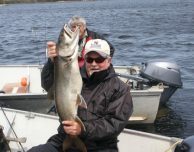 Through the end of June you’ll catch trophy fish in relatively shallow water. During mid-summer you can explore deeper reaches, until the fish come up to spawn late in the season. Regardless of method, you’ll be rewarded by fight of an aggressive fish. And when they hit, you’d better hang on. Come see for yourself. 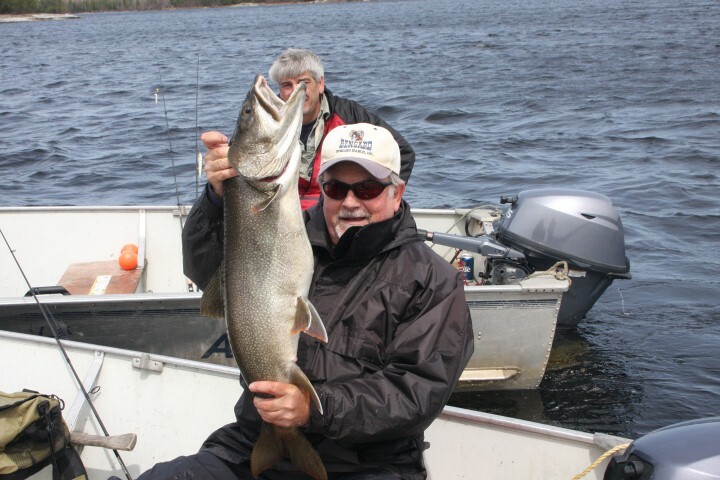 Plan your next Canadian Lake Trout fishing trip with Nestor Falls Fly-In Outposts.